Help us honour Oliver Holmes Woodward's service by contributing information, stories, and images so that they can be preserved for future generations. One of only FOUR men to have been awarded the Military Cross with TWO Bars. 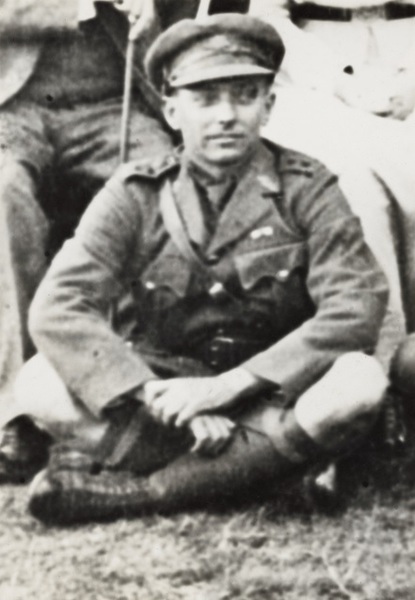 “Oliver Holmes Woodward (1885-1966), mining engineer, metallurgist and soldier, was born on 8 October 1885 at Tenterfield, New South Wales, son of native-born parents Sydney Arthur Woodward, storekeeper, and his wife Jemima Johnstone, née Reid. He was educated at public schools and for two years at Newington College, Sydney. Early practical mining experience at Irvinebank, North Queensland, was followed by three years at Charters Towers where he worked underground and studied part time at the School of Mines. In 1909 he was awarded the W. H. Brownemedal for mining and in 1910 the medal for metallurgy. Further experience underground qualified him as a mine-manager. As such he went in 1913 to Mount Morgan and then to Papua where he assisted the geologist (Sir) Colin Fraser at the Laloki and other mines. Late in 1914 Woodward returned to Mount Morgan to recover from malaria. In August 1915 he enlisted in the Australian Imperial Force; he was commissioned and posted to No.1 Company of the newly raised Mining Battalion. He sailed for France in March 1916. On its arrival in Flanders the battalion was broken up and the 1st Tunnelling Company became an independent engineer unit. Deployed in the Armentières sector, France, the company fought on the surface as well as underground and in June 1916 Woodward won the Military Cross for blowing up a snipers' post in no man's land.